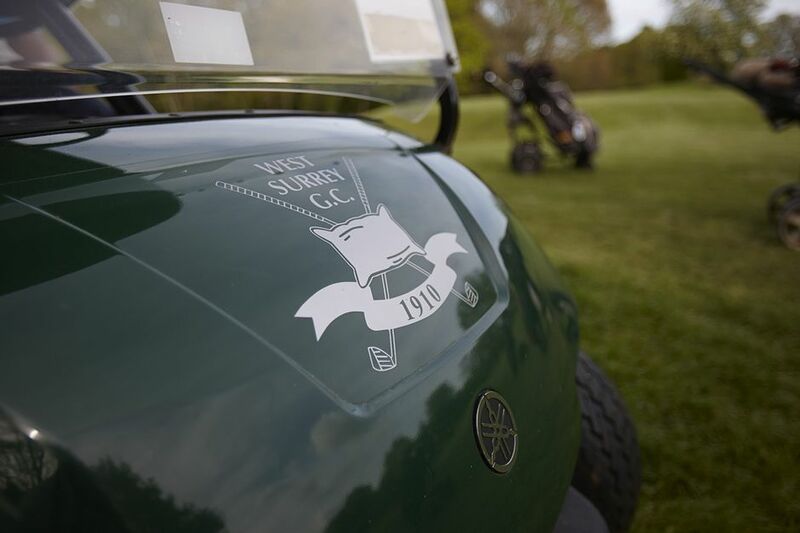 Corporate :: West Surrey Golf Club located near Godalming, and close to Guildford, is a friendly private members club blessed with one of the finest courses in the South East of England. ​​​The West Surrey Golf Club is delighted to announce that from June 1st 2015 we will be offering Corporate and Sponsorship packages to carefully selected organisations. We are looking to set up partnerships with organisations that have an excellent reputation, national or regional, who could take advantage of the wonderful facilities we have at the Club for corporate entertainment with either clients or staff - plus, depending on the package, a bespoke golf day to promote their business. The club is easily accessible from London, taking less than an hour by car. It is also a short walk from Milford station with trains direct to London Waterloo and is equidistant from both Heathrow and Gatwick airports. A friendly reception awaits with the promise of delightful golf in a part of the country where bird and wildlife abound, yet traffic noise is minimal. There are few better places to get away from the office to enjoy a superb golf course, beautifully presented in tranquil conditions. The profile of a typical West Surrey golfer is as follows. So sponsors and corporate partners of West Surrey would gain from the association in terms of promoting to a rich target market with a high disposable income which would raise the profile of the company to the right type of prospect. The packages below are a variety of what the Club can offer; however we are open to discussing bespoke packages to suit any company’s needs. As the Club is a not-for-profit organisation, annual surpluses are re-invested back into the business; all revenue generated from these packages will enable the Club to continue to invest in the facilities and grow the Club’s reputation as one of the finest in the South of England. We would be delighted to show you around our facilities and organise for you to play the course. Please contact Michael Sawicki, Secretary/Manager on 01483 421 275 or michael@wsgc.co.uk for further details and to arrange a visit. We look forward to discussing the potential partnership. *The West Surrey Pro Am has the reputation for being one of the best in the South of England. Now in its 39th Year the Pro Am continues to sell out each year.